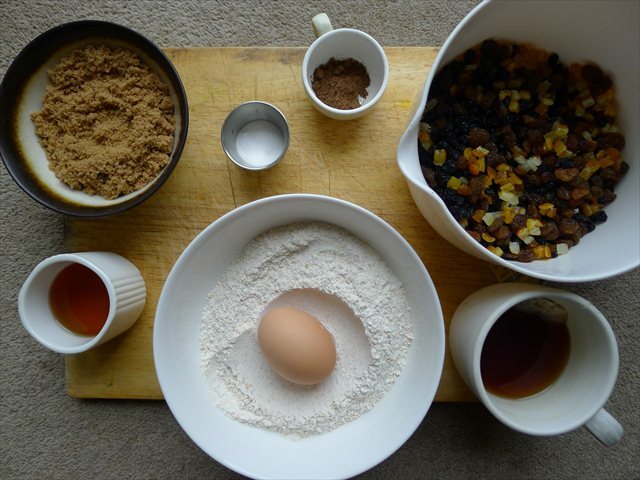 Every time Philomena Lee (Judi Dench) has returned to the convent in Tipperary, searching for information about the son she bore, which was later stolen from her, she comes away empty handed- bar a serving of brack cake and a cup of tea. Little wonder that later on in her search for him in America that she turns to the wee bottles of brandy in the mini bar for solace. What follows is an Irish a loaf as the Celtic harp. You’ll find a splash of brandy for courage, while the sweetness of dark brown muscavado sugar stands in for Philomena’s forgiving nature. 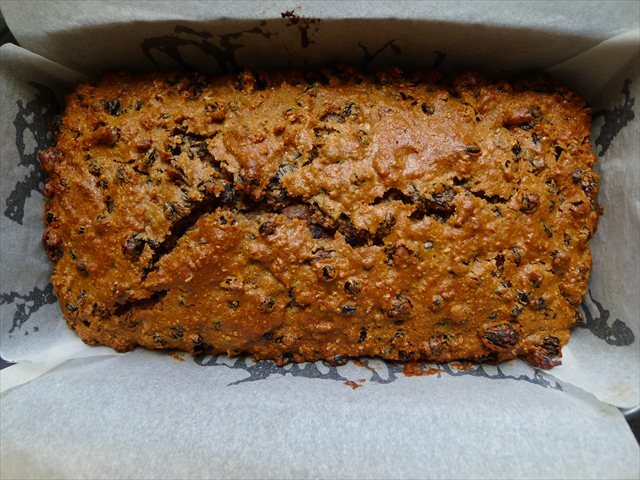 It’s best consumed a day or so after it’s made with a cup of tea, lashings of butter (or cream cheese, if you’re stateside) while clutching your family members as close to your bosom as you dare. 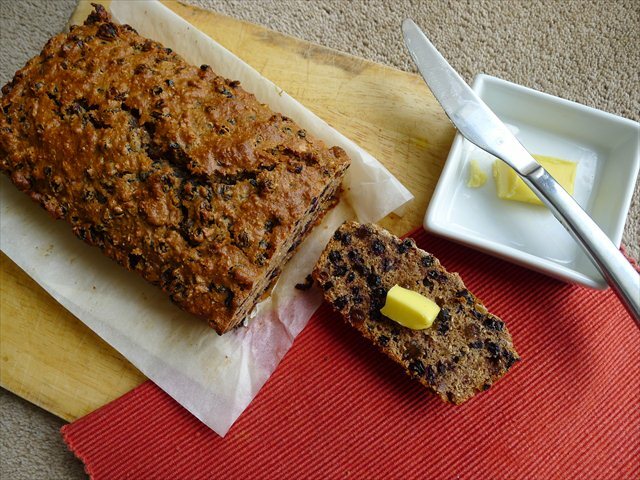 Makes 1 brack, cuts into around 12 slices. Keeps well in an airtight tuppeware. 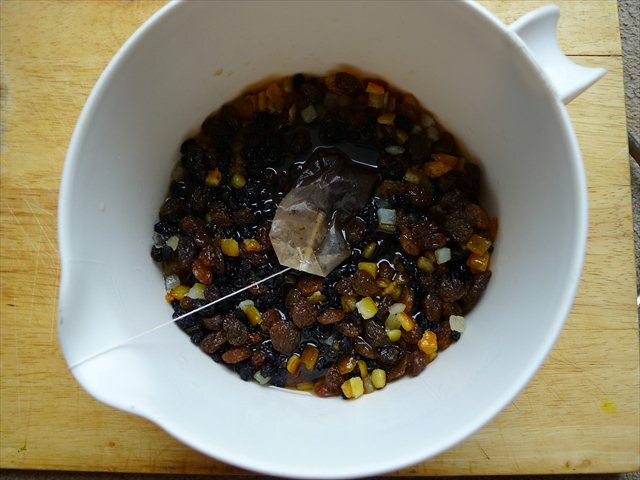 1) The night before, or three -four hours before you plan on making the loaf combine the mixed fruit, brandy and hot black tea in a bowl. Cover it and leave to steep. 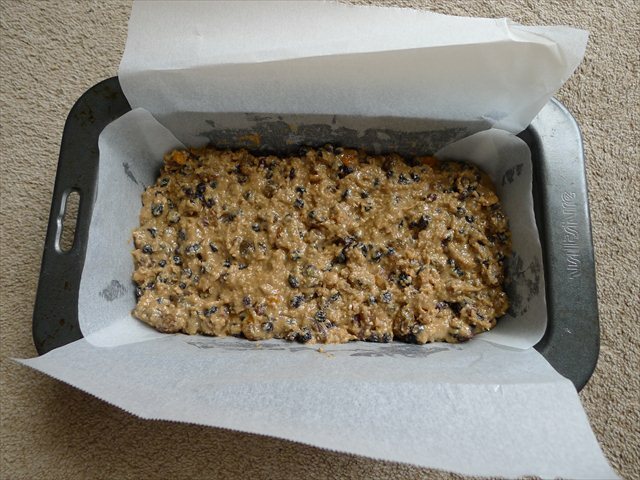 2) Preheat the oven to 170C/340F and grease and line a loaf tin in baking parchment. 3) Stir the muscavado sugar and the beaten egg into the soaking fruit. 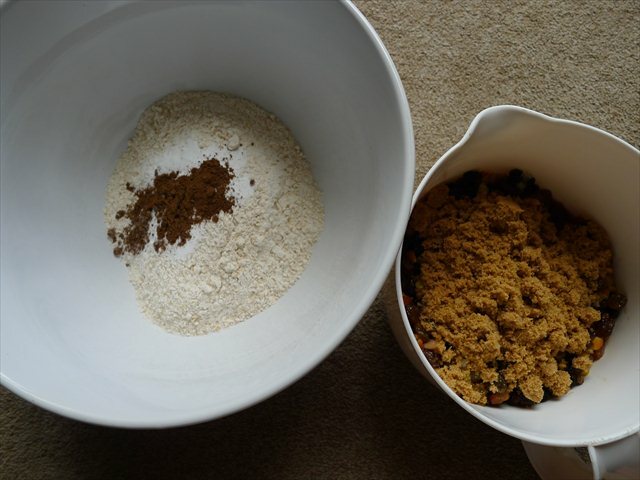 In a separate bowl combine the flour, baking powder and mixed spice. 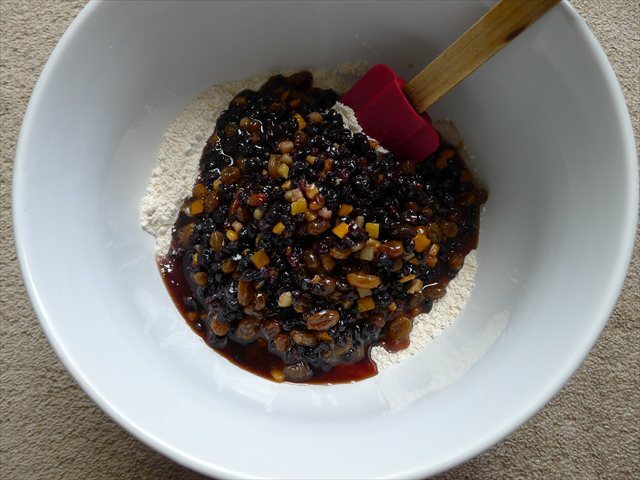 4) Fold the wet ingredients into the dry. 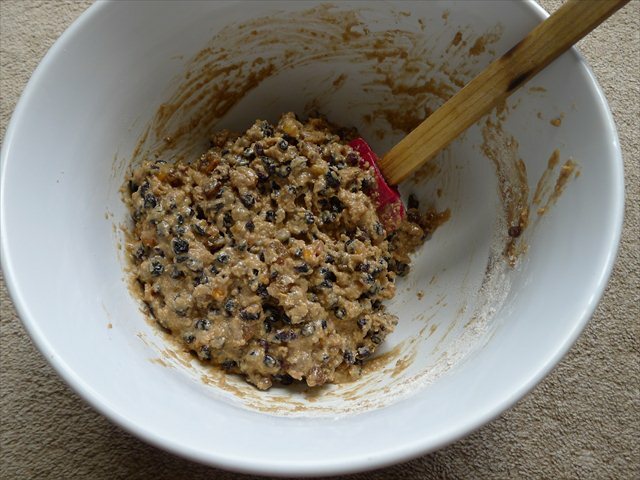 5) Gently stir the mix until the wet and the dry are incorporated, being careful not to overwork the batter. 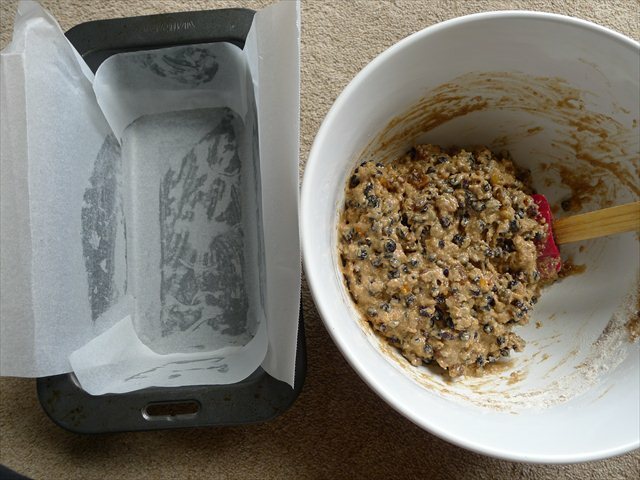 6) Transfer the batter into the lined baking dish. 7) Bake for 1 hour, until the top is brown and a skewer comes out clean. Allow to cool in the tin for 10 minutes before turning out. 8) Serve in slices with tea, topped with butter, or cream cheese (or if you feel like getting a little fancy, is also lovely with ricotta).